OnePlus users can either have HydrogenOS or OxygenOS depending on which market it is being sold. Overseas, all the OnePlus devices come preinstalled with OxygenOS. The Chinese market, on the other hand, settles with HydrogenOS. There’s not much difference between the two Android versions though, but the icons on the HydrogenOS look flatter and appealing to the eye than the dumb pastel-colored icons on the OxygenOS. Then again, one may not be able to discern the differences between the two icon packs. 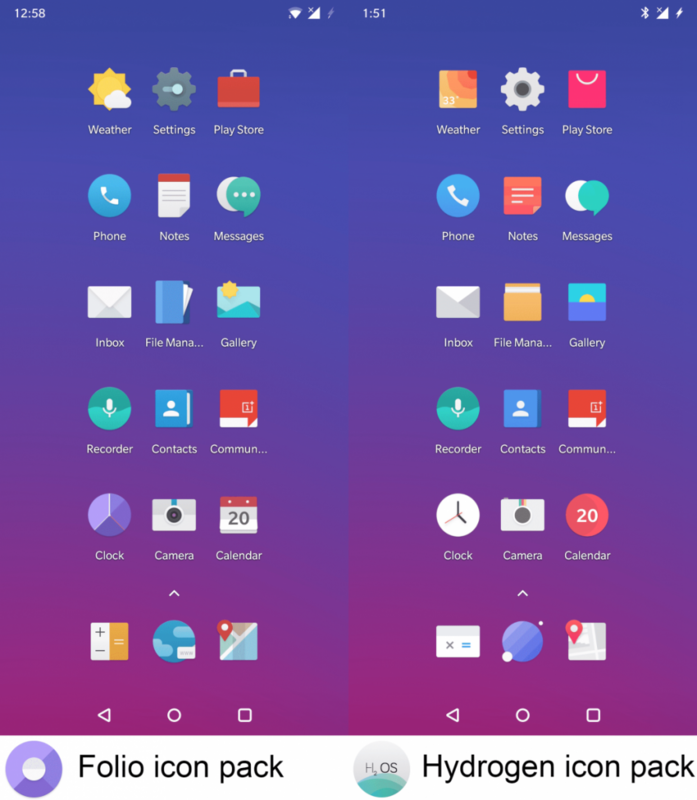 But to those who do, and want the icon pack on HydrogenOS better than that of the OxygenOS, we have a short guide for you. Well, it’s not really a guide, but we’ll provide you with an answer. As you see above, the phone that comes with OxygenOS has a stock icon pack called “Folio.” The HydrogenOS came with its stock “Hydrogen” icon pack. As per XDA member shehabskull, the Hydrogen icon pack will work on any OnePlus device including OnePlus 3, OnePlus 3T, OnePlus 5, OnePlus 5T, and OnePlus 6. Unfortunately, the Hydrogen icon pack will not be able to work on third-party launchers other than the OnePlus Launcher. Installing Hydrogen icon pack on OxygenOS device doesn’t even require a “root access”. All you need is a stock launcher, and you’re good to go. Get the HydrogenOS icon pack here.